Lebanese authorities have detained a pro-Hezbollah singer over some of his songs, including one that calls Saudi Arabia a “terrorist,” judicial officials and his father said Tuesday. Ali Barakat became known last year after releasing songs related to Syria’s civil war, including one about the opposition stronghold of Yabroud that was captured earlier this year by Syrian troops and Hezbollah fighters. Barakat was detained Monday when he went to collect his passport from the General Directorate of General Security in the southern town of Nabatiyeh, his father Mohammed Barakhat said. “This move violates democracy,” Barakat said. In April, authorities issued a summons for Barakat over releasing sectarian songs that “harm Lebanon’s relations” with Arab countries. An official close to Hezbollah said Barakat is not a member with the group. Judicial officials said if charged and convicted, Barakat could get six months to three years in prisons for inciting sectarian sentiments and attacking a friendly country. They spoke on condition of anonymity in line with regulations. Saudi Arabia is one of the main backers of Syrian rebels. Hezbollah has sent its fighters to back Syrian President Bashar Assad. Also Tuesday, Hezbollah announced that the group exchanged two members of Syria’s al-Qaida-linked Nusra Front it held for Hezbollah fighter Imad Ayad, who was recently captured in Syria. The group did not identify the Nusra Front members it released. 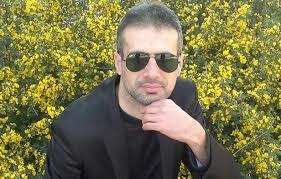 Ayad was the first Hezbollah member taken prisoner since the group openly joined Assad’s forces. The ‘Promised Freedom’ of The Democratic Lebanon. CONFESS !! About another singer, however, ‘SABAH’ died today at 87. Are they serious, they jailed him for singing? What should they do to fat prick Hassan? He has sent thousands to their graves and has single handedly divided the country like an earthquake. Snap out if it you fools go after the big fish you cowards. They must like his tunes, i bet they want to hear his stuff live, wouldnt be surprised if he’s belting one out right now to bashar and co.
Only ‘War Songs’ about resisting allowed ….